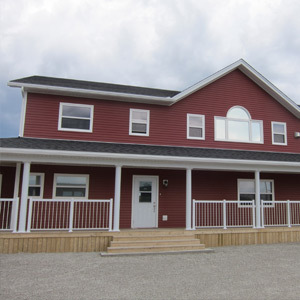 Perched at the top of Twillingate, located on Iceberg Alley with views of the ocean. Sit on our patio & enjoy the most spectacular sunsets. Walking distance to many amenities. Close to boat tours, whale watching tours, hiking, restaurants, entertainment & much more. Our rooms offer king bed with private ensuite & some with jacuzzi. Iceberg Alley Bed and Breakfast, Twillingate. Iceberg Alley B&B's resident golden retriever, Hugeo. View from Iceberg Alley Bed and Breakfast. Iceberg Alley Bed and Breakfast bedroom. Bedroom with corner bath tub. Iceberg in Twillingate at sunset.